Do You Know What Can Happen if Your Vehicle’s Cabin Air Filter is Dirty – What? You Didn’t Know You Had One? Most vehicles built after 2000 are equipped with a cabin air filter. Now, you may have heard of an oil filter and an engine air filter but the job of your cabin air filter is to keep debris from entering the cabin of your vehicle so that you are not exposed to or breathe them in. These debris can include pollen, mold spores, rodent droppings, leaves, dust, smog and other airborne materials. If you notice allergy like symptoms bothering you when riding in your car or you smell something weird, it could be that your air filter needs to be changed. A: A cabin air filter cleans the air entering your vehicle’s passenger cabin via its HVAC system. 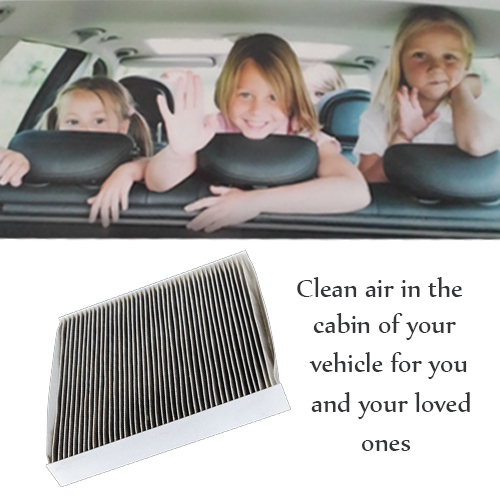 Cabin air filters filter out pollutants, mold, mildew, road dust, fumes and allergens. Q: Is a cabin air filter different than an air filter? can be up to 6 times dirtier than outside air. Q: How do I know if my vehicle has a cabin air filter? A: First, check your vehicle’s owner manual. If you are still not sure, ask your professional service person. Q: What about unpleasant odors in my vehicle? Q: So, when should I change my cabin air filter? prove necessary for maximum benefit. AAMCO Of Bonita Springs can tell you if your vehicle needs a new cabin air filter plus they can handle all other maintenance or repair/s your car or truck may need. 14,000 locations nationwide – more than any other automotive repair brand. So, no matter where your travels take you – if you ever experience a problem with a covered repair, you can count on a NAPA AutoCare Center being nearby. Covers Parts and Labor on Qualifying Repairs and Services for 24 Months/24,000 Miles. Previous Previous post: Taking a Summer Road Trip? Avoid a Breakdown with this Vehicle Checklist! Next Next post: What Do Wiper Blades Have to do With Your Driving Safety?